•	UAE Minister of State for Foreign Affairs, Dr. Anwar bin Mohammed Gargash, has rejected a report by the Group of Eminent International and Regional Experts on Yemen, and urged the Human Rights Council, HRC, to instead refocus on providing support to the Government of Yemen in building institutions to protect human rights in the country. •	In a letter to the United Nations High Commissioner for Human Rights, Michelle Bachelet, the Minister explained that "the Group’s mistakes and missteps in judgment and methodology are too numerous and too serious to ignore", which is why the UAE, along with many other HRC members, decided not to support the renewal of the mandate of the Group of Experts last year. •	Attached to the letter was a detailed assessment of the Group of Experts’ report published in 2018. The assessment finds that the Group in its report has both exceeded its mandate in a number of ways, while at the same time failing to fulfill important aspects of it. 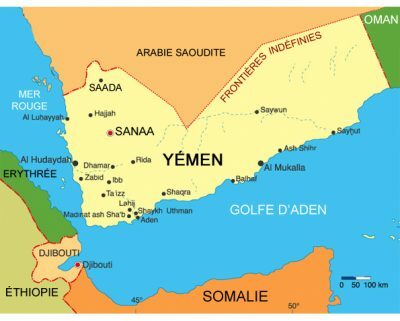 •	A statement by the UAE’s Ministry of Foreign Affairs and International Cooperation stated that the Group did not apply the context of the conflict in Yemen to its monitoring and reporting functions, and its methodological approach was flawed. The Group also misinterpreted and misapplied international law, and presented incorrect claims against the UAE. •	The Minister reiterated the UAE’s support for the High Commissioner’s mandate and her role in consistently working with member states and other stakeholders to address the human rights challenges around the world, including in Yemen. •	Israel reopened its crossings with the blockaded Gaza Strip after having kept them closed for nearly a week following a rare long-distance rocket strike from the Palestinian enclave. •	A defence ministry unit that oversees the crossings, said, the Erez crossing for people and the Kerem Shalom crossing for goods reopened. •	They were closed after the rocket fire that wounded seven Israelis and led to Israeli retaliatory strikes across the Gaza Strip. The reopening also comes after tens of thousands of Palestinians protested along the Gaza border with Israel. 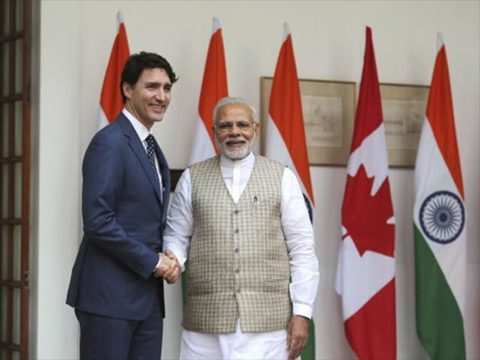 •	India and Canada have concluded an agreement on a Joint Action Plan outlining activities to further strengthen counter-terrorism collaboration, including through joint capacity building, information and technology sharing. •	This was decided at the 16th meeting of the Canada-India Joint Working Group on Counter-Terrorism and its Expert Sub-group was held in Ottawa . •	The delegations were led by Global Affairs Canada’s Director General for the Counter-Terrorism, Crime and Intelligence Bureau, Martin Benjamin, and India’s Joint Secretary for Counter-Terrorism from the Ministry of External Affairs, Mahaveer Singhvi, and involved senior representatives from both governments. •	The Joint Working Group reviewed threats posed by terrorist groups worldwide and in their respective countries and regions, including cross-border terrorism, reiterated condemnation of the recent terrorist attack in Pulwama, Jammu and Kashmir, and discussed actions undertaken to counter terrorism, violent extremism and radicalization to violence. •	Google has constituted an eight-member Advanced Technology External Advisory Council that will examine the ethical challenges related to artificial intelligence (AI) and other emerging technologies. •	The aim of the council is to provide recommendations for Google and other companies and researchers regarding the AI. •	The council will meet four times, beginning in April and will publish its report by the end of 2019. •	In computer science, artificial intelligence (AI), sometimes called machine intelligence, is intelligence demonstrated by machines, in contrast to the natural intelligence displayed by humans and other animals. Computer science defines AI research as the study of "intelligent agents": any device that perceives its environment and takes actions that maximize its chance of successfully achieving its goals. •	More specifically, Kaplan and Haenlein define AI as “a system’s ability to correctly interpret external data, to learn from such data, and to use those learnings to achieve specific goals and tasks through flexible adaptation”. Colloquially, the term "artificial intelligence" is used to describe machines that mimic "cognitive" functions that humans associate with other human minds, such as "learning" and "problem solving". •	The Pentagon,the headquarters of the United States Department of Defence has notified that it has authorized to shift US $1 billion from a military personnel account to establish a new wall of 57 mile and 18 foot high fence at the southern U.S. Mexico border. •	This wall would prevent illegal migration and drug trafficking from Mexico. •	Department of Defense has authorised the Army Corp of Engineers to begin planning and construction for the project. •	The department will direct the funds towards fencing along the Yuma and El Paso sections of the border. •	Less than one day after acting Pentagon chief Patrick Shanahan authorized moving the funds from existing Defense Department projects to border construction, the House Armed Services Committee said this move was not permitted. •	More than 113 million people across 53 countries experienced acute hunger last year because of wars and climate disasters. •	United Nations body, the Food and Agriculture Organisation (FAO) in its 2019 global report, said Africa was the worst-hit region. 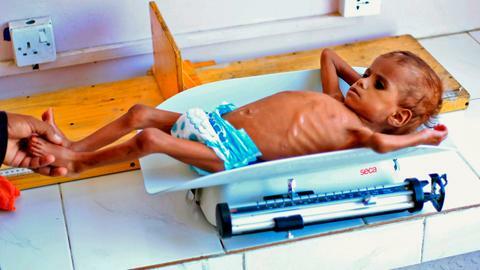 •	It said Yemen, the Democratic Republic of Congo, Afghanistan and Syria were among the eight nations accounting for two-thirds of the total number of people worldwide exposed to the risk of famine. •	FAO`s emergencies director Dominique Bourgeon said African states were disproportionally affected as close to 72 million people on the continent suffered acute hunger. •	Conflict and insecurity remained key factors, along with economic turbulence and climate-related shocks like drought and floods, the report found. •	Globally, the study noted that the overall situation slightly improved in 2018 compared to 2017 when 124 million people suffered acute hunger. 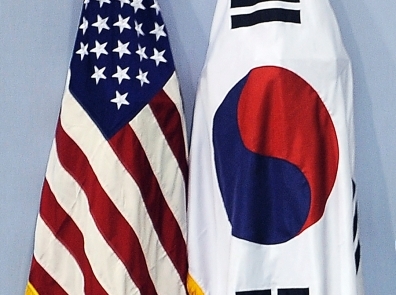 •	US Acting Secretary of Defense Patrick Shanahan met with South Korean Minister of National Defense Jeong Kyeong-doo in Washington over the de-nuclearization of the Korean Peninsula. •	A statement released by the Pentagon said, during their meeting, Shanahan and Jeong focused on the on-going diplomatic efforts to achieve a complete denuclearization of and peace on the Korean Peninsula. •	They also pledged to enhance coordination and cooperation in various areas including information sharing on issues regarding the Democratic People`s Republic of Korea (DPRK). •	Jeong`s visit came a month after the second summit between the top DPRK leader Kim Jong Un and U.S. President Donald Trump in late February in the Vietnamese capital of Hanoi that ended without an agreement. •	Whatsapp launched a `tipline’ in India using which citizens can submit possible rumours and misinformation for verification, ahead of the 2019 Lok Sabha elections. •	“People in India can submit uncertain information or rumours they have received to the Checkpoint Tipline on WhatsApp +91-9643-000-888,” the Facebook-owned firm said in a statement. •	WhatsApp is working with India-based media skilling startup PROTO for the helpline. It added that this will help create a database of rumours to study misinformation during elections for Checkpoint - a research project commissioned and technically assisted by WhatsApp. •	“When a WhatsApp user shares a suspicious message with the tipline, PROTO’s verification center will seek to respond and inform the user if the claim made in message shared is verified or not,” the company explained. •	The response, it added, will indicate if information is classified as true, false, misleading, disputed or out of scope and include any other related information that is available. •	President Ram Nath Kovind met and discussed wide-ranging issues of mutual interest with his Chilean counterpart Sebastian Pinera and the two sides signed three Memoranda of Understanding (MoUs) in the fields of mining, culture and disability. •	President Kovind who arrived in Chile on a three-day visit is on the last leg of his three-nation tour that included Bolivia and Croatia. •	During bilateral talks between the leaders, Chile announced that it will allow visa-free entry to Indian nationals holding a valid visa of the United States of America. •	Welcoming Chile`s decision President Kovind said it would promote both cultural and business ties between the two countries. •	Thanking Pinera for his strong condemnation of the Pulwama terror attack in Jammu and Kashmir, President Kovind noted that the two countries have also agreed to work together to strengthen the global response to defeat and destroy terrorism in all its forms and manifestations.